Many gamers remember Deus Ex as the game that pioneered the stealth-focused first-person shooter genre on the PC. Veteran PC gamers, however, remember doing all kinds of things in the original Deus Ex besides sneaking around: Hacking computers, jumping between skyscrapers, exploring immersive worlds, and above all, finding new and innovative ways to wax every single bad guy standing between you and your goal. 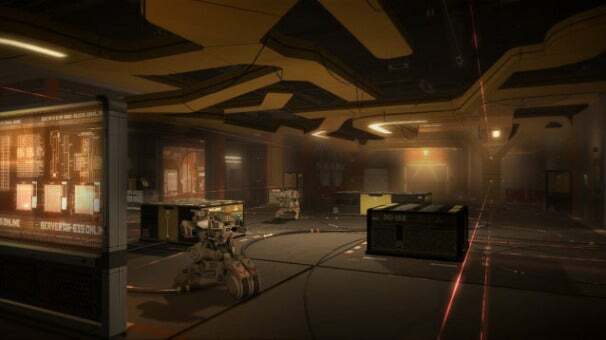 Well, Deus Ex is back as Deus Ex 3--this time for Xbox 360 and PlayStation 3, as well--and it might very well be the one game that stands out amid a sea of me-too first-person shooters. First, a little recap: You play as Adam Jensen, a private security officer that is augmented with mechanical "upgrades" that allow him to turn invisible, fall long distances without taking damage, see through walls, and much more. 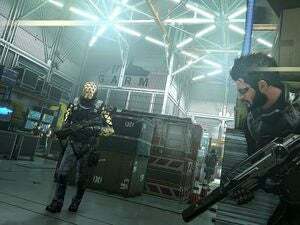 Like the other Deus Ex games, you can't upgrade to new augmentations without closing off other augmentation paths, meaning you'll have to carefully pick and choose your upgrades to complement your problem-solving style. Augmentations can help you sneak, hack, run, and fight your way through the game, but you can't do it all. 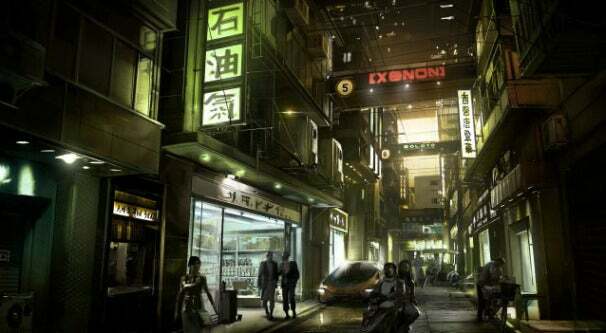 Currently, Deus Ex 3 is slated for an August 23, 2011 release. My Deus Ex 3 demo started with a guided tour through a level approximately halfway through the game. The task at hand was to infiltrate a major biotech corporation's mainframe in search of some recordings, but that mainframe was located at the very top of an arcology that started in an underground city near Shanghai, extended through the "roof" of that city, and reached miles above the aboveground city skyline. Jensen started by bribing a guard at the ground floor to allow him in the building, and used a combination of sneaking skills, non-lethal takedowns, and a silenced sniper rifle to make his way through the underground facilities. Once he made it into the above-ground portion of the arcology, things got a little bit trickier. Rather than commit to a guns-blazing frontal assault, Jensen took advantage of his arm strength augmentation to move a vending machine into a position that let him hop onto a second-story balcony, which let him into the protected labs. Had he bluffed his way past the security guard instead of sneaking in, he would have had an easier time getting to the server room. As it was, all the defenses were up, and it was back to sneaking around. After seeing how the level was supposed to be played (one potential route, anyway), I had a chance to play for myself. No sneaking around for me, though. I blasted my way through the front doors and picked off a few guards, but not before one of them tripped an alarm which sent a rather unpleasant security robot after me. Now that's the Deus Ex I remembered. Between my revolver, 10mm pistol, stun gun, sniper rifle, and EMP grenades, I had plenty of toys to play with. With the alarm triggered, overwhelming aggression didn't look like a very winning game plan, so I decided to play a little bit more stealthily. Thankfully, Deus Ex 3 makes this easy. While the game is mostly played in a first-person camera view, you can press a button to switch to a sneaking-friendly third-person view that makes it easier to slip by guards undetected. Get close enough, and you can take the guard out with a lethal or non-lethal move by pressing a button that launches Adam into a quick cinematic attack. Having spent far too much time playing the original Deus Ex, I was skeptical about DX3's ability to recreate the ridiculously fun open-ended design that made it so much fun--especially after the horrible flop that was Deus Ex 2: Invisible War. Based on the E3 build, however, it looks like they've taken the rather disorderly level design of the first game and streamlined it a bit, making it easier to see the different in-game options available to you while leaving devoted players with plenty of reasons to play this game again and again.